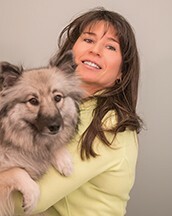 Nancy Hawkins Rigg (Nonnie) is the founder and owner of Forever Fit Foundation, a personal training business specializing in Pilates, Gyrotonic, post- rehabilitation and sport-specific training. Forever Fit Foundation began seeing their first client in Kent County in 1993. They currently accept clients at three sites; Dover and Lewes, Delaware and Mendenhall Station, Chadds Ford, Pennsylvania. Nonnie, a licensed and certified athletic trainer, earned her bachelor’s degree from the University of Delaware and her master’s degree in exercise science and sports medicine from Miami University of Ohio. 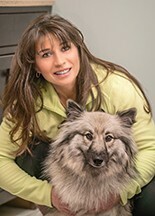 Nonnie obtained certifications in the following: Gyrotonic, Gyrokinesis, Pilates, Yamuna Body Rolling, Neurokinetic Therapy, Il Ki-Hara Stretching, Muscle Activation Technique, Active Release Technique, Graston, Hawk Grips and Thai foot reflexology. Nonnie works daily in one or more of Forever Fit Foundation’s locations with a varied clientele including: individuals overcoming strokes, brain injuries, musculoskeletal problems, elite & professional athletes or people just looking for a healthier lifestyle. In addition to her Forever Fit Foundation responsibilities, Nonnie is an adjunct professor at Wesley College teaching three courses per semester. Whether she is instructing others or taking courses herself, she believes that education is the foundation to health & fitness and improving one’s life. Nonnie is married to Christopher Rigg and they have three Keeshonden; Luna, Luxa & Zugi. Luna Rigg is a familiar fixture at all three Forever Fit Foundation locations. She shares the day to day operations with her co-worker Neo, a Rhodesian Ridgeback. The favorite part of Luna’s work day is sharing her time and toys with one of her many canine visitors. She likes to un-wind in the evening with a good marrow bone. 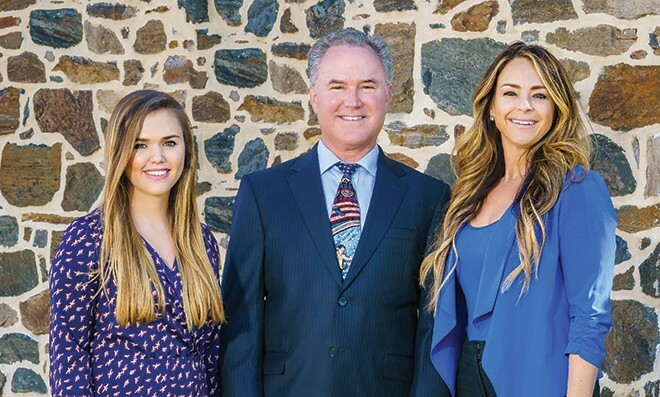 Erica Suppa is the founder of Fresh Faced Skin Care, an advanced skin care studio with locations in historic New Castle, DE and Chadds Ford, PA. Fresh Faced Skin Care has been providing professional services and products for five years with proven results. Erica has been delivering treatments unlike a typical skin care chain store. She has more than 15 years of experience in the healthcare industry as an esthetician, skin care expert and research scientist. Fresh Faced Skin Care also offers classes and workshops in-studio for preventative steps and solutions to aging and acne. Walk-ins are welcome, though appointments are encouraged. Be sure to like Fresh Faced Skin Care on Facebook, and follow along on Twitter and Instagram for the latest updates and events. In addition to creating skin treatment protocols, Fresh Faced Skin Care also offers skin care and makeup products. Fresh Faced Skin Care products are professional-grade and formulated with ingredients that are easily utilized by the skin, making the products more effective. These products are available at both studio locations and online at www.FreshFacedSkinCare.com. As a Personal Trainer and Fitness Coach, Cathy McDougall believes that living a healthy life shouldn’t be complicated, confusing or time-consuming. But with so many conflicting views on dieting: Paleo? Vegan? Low-carb? And exercise: High intensity? Weight training? Cardio? It’s often difficult for people to begin, or stick with ANY type of lifestyle change. That’s why when Cathy takes on new clients, she takes the time to get to know them. She finds out how much they work and sleep. She’ll get to understand the stressors in their lives, and she’ll look closely at the everyday demands on their time. Because without knowing HOW a person lives, it’s impossible to know how to help him or her make sustainable, realistic changes. As a team, Cathy and her client work towards discovering ways to make healthy living a habit, not a chore. Together they problem solve. They’ll look for habits and behaviors that may be sabotaging fitness goals, and work to create healthy substitutions. They’ll look at the challenges and obstacles that may have prevented them from losing weight or exercising in the past. Cathy firmly believes that every day we are all given a clean slate, and a new day means a new chance for success. There’s an expression that says, “you can’t exercise away a bad diet.” Eating and exercise go hand in hand. As a National Academy of Sports Science certified trainer, Cathy can design exercise programs that have realistic goals, and realistic challenges. As a Nutrition Coach, she can help clients learn how uncomplicated and rewarding a whole foods, balanced diet can be. Cathy is a former TV reporter, has competed in several Figure Competitions for the National Physique Committee, and is the mother of two “millennial” sons. She understands “busy,” But she also understands how rewarding a fit, healthy life can be. Cathy does personal training in her home, and clients’ homes. She can be reached at: cathydmcd@verizon.net or (610)-308-7185. A special Thank You to Forever Fit Foundation for allowing us to have our profile photo shoot at their location. Forever Fit Foundation, founded in 1993 by Nonnie/Nancy Hawkins Rigg in Dover, offers core centered personal training and rehabilitation from three locations: Dover and Rehoboth, Delaware and Mendenhall Station, Pennsylvania. Whether you are looking to tone your body, lose weight, work through post rehabilitation issues, or are an amateur or professional athlete looking for the competitive edge, Forever Fit Foundation offers an approach to help you. Contact them at 302-423-1816/Mendenhall, 302-698-5201/Dover and Rehoboth. On The Cover . . . We would like to thank Nancy Hawkins-Rigg, founder and owner of Forever Fit Foundation for hosting our profile photo shoot. Forever Fit Foundation is located at 328 Kennett Pike, Chadds Ford, PA with locations also in Dover, DE and Rehoboth Beach, DE. I would like to also thank Erica Suppa, owner of Fresh Faced Skin Care™, for providing space in her lovey studio for hair and makeup. I would like to thank Christine D’Alonzo, Owner of Amelia Paris Salon & Spa at Britton Lake, and her wonderful team of stylist and makeup artists for providing hair and makeup for our shoot. Amelia Paris is located at 100 Evergreen Dr., Glen Mills, PA. To book an appointment or to just find out more about Amelia Paris call 610-558-4911, or visit them at amelia-paris.com. Mr. Shannon Adelson, of Adelson Media, Inc. was our photographer for this shoot. We are pleased with his great eye for photographing and his professional ease in dealing with each of our participants. You can contact Shannon at 484-748-0166, or email him at shannon@shannonadelson.com. To see more of Shannon’s work, check out his website at www.shannonadelson.com. 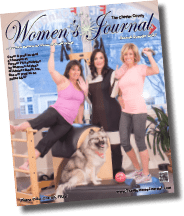 We were honored to have three beautiful businesswomen to participate in our 2nd Quarter Shoot for Chester/DE County, and I hope that you will let them know that you read their profiles in the Women’s Journal. Complete profiles on each of the participants are on Pages 35-37.